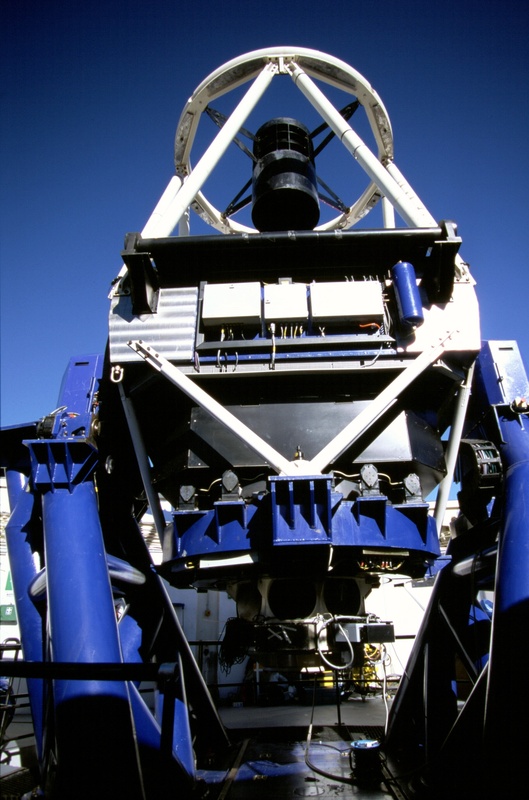 Planning is underway for a successor to the world's largest fully robotic telescope. The Liverpool Telescope (LT) is a 2-metre optical telescope located on La Palma that has been in operation since 2004. It has become a leading astronomical facility through its ability to react quickly to observe newly discovered or transient events in the universe, such as the cataclysmic explosions known as Gamma Ray Bursts (GRBs). It has also been used by more than 2000 schools as part of a thriving outreach programme. Now, the scientific community is being consulted on the facilit's successor, LT2. Dr Chris Copperwheat will present the current status of the project and invite feedback from the community at the National Astronomy Meeting in St Andrews on Tuesday 2 July. Plans for the new telescope are being developed by the Astrophysics Research Institute of Liverpool John Moores University (LJMU), which owns and operates the LT. Already, some criteria have been identified: LT2 will be a 4m-class facility and the preferred location is La Palma. "We've been having productive talks with the Instituto de Astrofisica de Canarias and hope to work in partnership with them to realise the project. La Palma is of course one of the best observing sites in the world, and there are obvious logistical benefits to siting LT2 at the same observatory as LT. There are potential science benefits as well - we'll be exploring the possibilities of using the two telescopes together to provide an enhanced capability. La Palma is a northern site but there is still good overlap with the southern sky," said Copperwheat. Like the current telescope, LT2 will be fully robotic and will be able to make rapid and flexible observations to follow up on discoveries made by other observatories. This application is becoming increasingly important due to current and upcoming large-scale surveys of the night sky: from around 2020, the new US-built Large Synoptic Survey Telescope (LSST) will begin a 10 year mission in which the entire southern sky is photographed every few nights. "These surveys will discover large numbers of exotic and rare supernova subtypes, and will also be discovering them at an extremely early point in their evolution. Currently, only a small fraction of transients get any follow-up analysis, and this problem will get even worse in the LSST era. This is where we envisage LT2 coming in to its own," said Copperwheat. LT2 will be designed so that the telescope can slew extremely rapidly and get onto a new target very soon after receiving a 'trigger' from another facility. This is vital in order to catch the light from transient objects that fade extremely rapidly, like GRB afterglows. The aim is for LT2 to be able to detect the target and make follow-up observations in just a few tens of seconds. 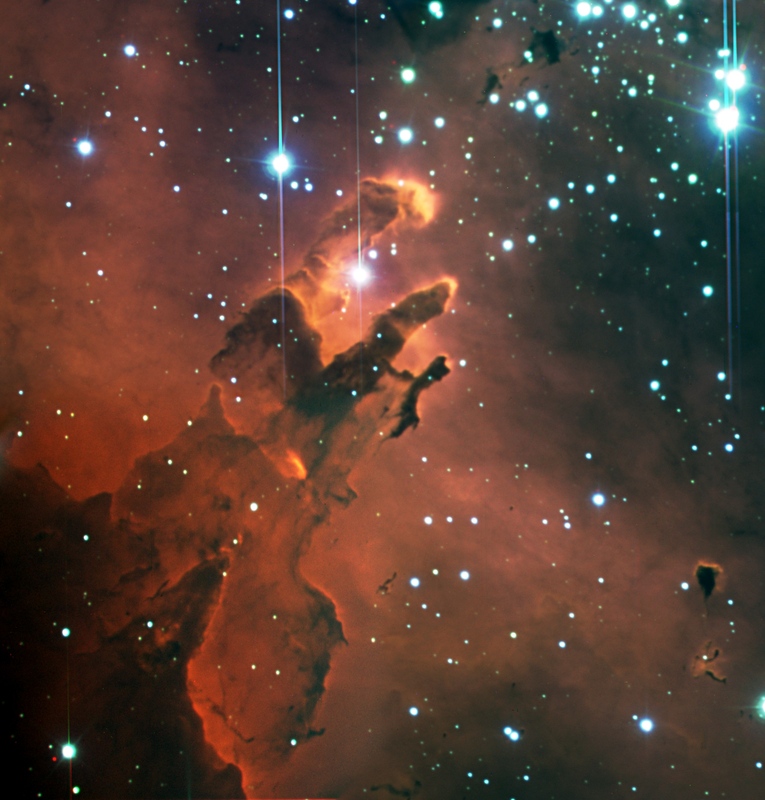 The Eagle Nebula, imaged with the Liverpool Telescope. "As well as GRB afterglows, there may be rapidly fading transients from more exotic sources. A new gravitational wave detector, Advanced LIGO, should be operational by 2014. One exciting possibility is that LT2 could make follow-up optical observations of merging neutron stars or black hole binaries that are initially detected through gravitational waves. There will be a lot of competition to detect these and the reaction speed of LT2 might give us an advantage," said Copperwheat. Whilst transient science will be LT2's core mission, the telescope will also be used for observations of binary systems and variable stars detected by the European Space Agency's Gaia mission, which is due for launch later this year, as well as exoplanets discovered by the next generation of space and ground based missions. The LJMU team is currently developing an outline of user requirements that they will use to commission a preliminary design for LT2 in the next few months. A white paper on the science case is also planned for the autumn. "We want very much to engage with the community and would be keen to hear any views on the project at this stage. As we move on we'll be looking to establish more partnerships with groups and institutions in the UK and beyond," said Copperwheat.